Divisive Quebec MP Maxime Bernier made a scorched-earth exit from the Conservatives today, while announcing plans to start his own federal party. Bernier, who represents the riding of Beauce, made the announcement Thursday in Ottawa as the party's policy convention kicks off in Halifax. "I have come to realize over the past year that this party is too intellectually and morally corrupt to be reformed," he said, on the heels of controversial tweets he posted regarding diversity. "I know for a fact that many in the caucus privately oppose supply management, but buying votes in a few key ridings is more important than defending the interests of Canadians." Bernier said he plans to talk to Elections Canada on Friday and his goal is to head a party that runs candidates in all of Canada's 338 federal ridings. "We'll have a lot of Canadians, and that new party will win the next election." 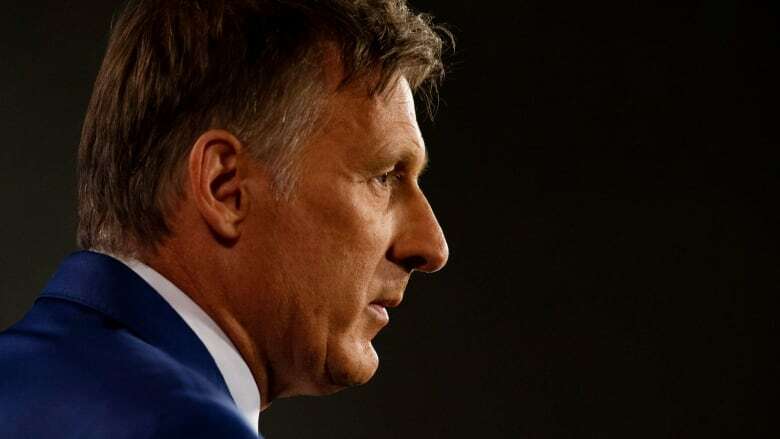 Canada's dairy supply management system has been a consistent sticking point for Bernier, but in his takedown of the party, he also attacked Conservative Leader Andrew Scheer for supporting retaliatory tariffs against the United States. "I'm the only one in the House who is against a trade war and the only one in the House who is for Canadian consumers," he said. Bernier has caused waves on the national scene — and within his own party — for recent tweets regarding Canada's diversity. They have been labelled xenophobic by some commentators, while others view them as the start of a much-needed debate over Canadian identity and the role of immigration. Bernier said he spoke to Scheer nine days ago and made his decision to leave the party, adding the leader is consumed with "polls and focus groups." Scheer, who narrowly beat Bernier at last year's leadership convention, said the former cabinet minister was more occupied with advancing his own profile than the needs of the party. "Today Maxime made a choice," he told reporters in Halifax. "He decided today to help Justin Trudeau." "I always challenged him to put personal ambition aside and to concentrate on common ground that all Conservatives can rally around.… Not once did he come to me or my team with ideas for the issues he's raising." Leading up to Bernier's announcement, some prominent Conservatives rallied around Scheer. Former prime minister Stephen Harper, who helped secure the historic merger of the Canadian Alliance and the Progressive Conservatives that formed the modern-day Conservative Party, says the party needs to move forward. "It is clear that Max never accepted the result of the leadership vote and seeks only to divide Conservatives. His decision today allows the Conservative Party of Canada to move forward united behind our leader," he tweeted. It is clear that Max never accepted the result of the leadership vote and seeks only to divide Conservatives. His decision today allows the Conservative Party of Canada to move forward united behind our Leader <a href="https://twitter.com/AndrewScheer?ref_src=twsrc%5Etfw">@AndrewScheer</a>. Ontario Premier Doug Ford tweeted support for Scheer, while Kory Teneycke, the former director of communications for Harper and a Bernier supporter in the leadership race, penned an op-ed for the Toronto Sun backing Scheer for prime minister. Rachel Curran, Harper's former director of policy, put it more bluntly. "I hope Justin Trudeau and his cabinet colleagues are breaking out the champagne in Nanaimo this morning," she tweeted, saying that the Prime Minister's Office has "secured an easy win in 2019 despite a mostly terrible summer." Speaking in Nanaimo, B.C., after the conclusion of his federal cabinet retreat, Trudeau refused to be drawn into the Conservative infighting. "Our government is focused on giving answers to the questions that Canadians have, and on demonstrating that we're entirely focused on them," Trudeau told reporters. "I'm going to let Conservatives focus on themselves, as they are right now. We're going to remain focused on Canadians." I hope Justin Trudeau and his cabinet colleagues are breaking out the champagne in Nanaimo this morning. Congratulations to <a href="https://twitter.com/gmbutts?ref_src=twsrc%5Etfw">@gmbutts</a> &amp; co. who have secured an easy win in 2019 despite a mostly terrible summer. Earlier this summer, Bernier was banished from the Tories' front bench and stripped of his role as innovation critic. At the time, a Conservative MP who spoke to CBC News on the condition he not be identified said Bernier was removed because of his decision to post a chapter from his book on his website. The MP wrote that Scheer's victory as party leader was owed to "fake Conservatives" who only joined the party to defend supply management in the dairy industry. I have known <a href="https://twitter.com/AndrewScheer?ref_src=twsrc%5Etfw">@AndrewScheer</a> for nearly two decades. He is one of the most principled, decent people I know. Today’s Conservative Party is a mainstream, democratic coalition that is ready to govern. One man’s ego must not risk the imperative of defeating the Trudeau government. Peter d'Entremont, who sits on the board of directors of the Libertarian Party of Canada, said it tried to court Bernier to leave the Conservative Party and join its cause, but he wasn't interested.